The Holidays are quickly approaching and will be here before you know it! Are you ready to send out your Holiday cards?! Looking to spice up your cards this year and make addressing those envelopes easier?! Do you need a cute “From Santa” gift tags for your little one's presents? Well we've got you covered! We have a fun new collection of holiday stamps to make your life easier this holiday season! 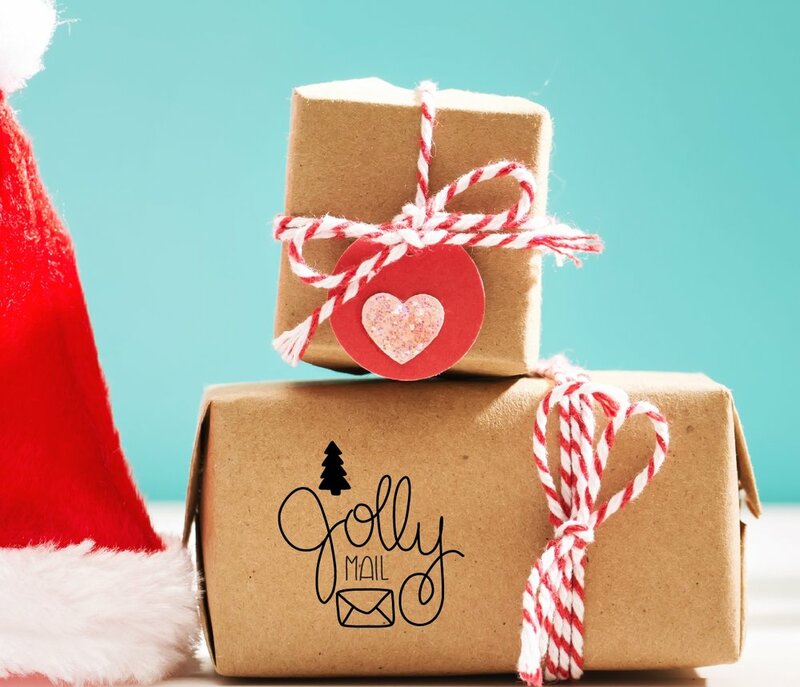 From gift tag stamps, to happy mail stamps, and address stamps, we can help make the holiday hustle and bustle a little easier! Tired of writing out gift tags?! This hand lettered stamp is the perfect way for Santa to let your child know he was thinking of them on Christmas morning! Imagine how excited they will be when they see all the presents under the tree from the big guy! When you purchase this stamp you are an official Santa's Helper. Looking for a fun way to spruce up your holiday packaging or cards?! Choose from this collection of our North Pole Air Mail stamps or the Jolly Mail stamp, to send lots of Christmas cheer this season. These stamps will look great on all of your Holiday cards and packages! 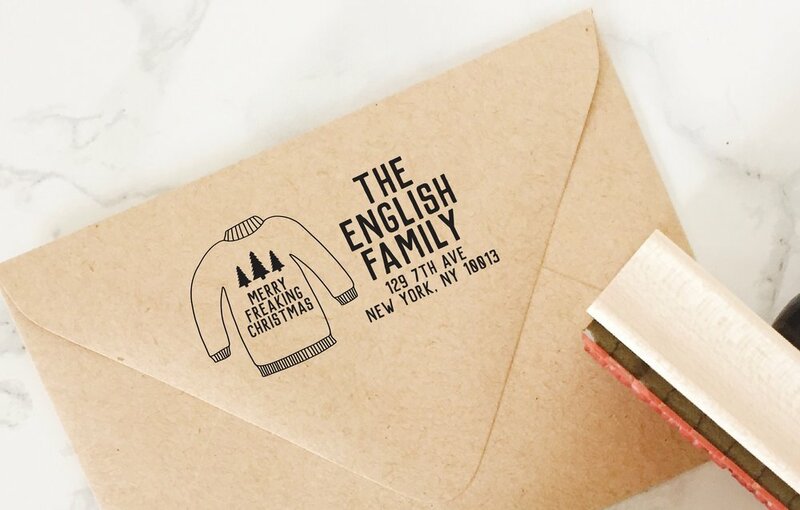 How about a fun and fast way to address all those Holiday cards you need to send out this season?! We have a large collection of new Holiday address stamps to make this process fun and easy! Wanting to step outside the box?! These circle address stamps may just be what you are looking for! Maybe you are not a fan of circle stamps and what to stick with the more traditional route! Well, no worries, we have you covered! These Holiday address stamps will get the job done! Who doesn't love baking during the holidays?! Maybe you are the one doing all the baking or you have that special person who does. We have stamps in our shop that are perfect for those bakers in our family! Our “From the Kitchen Of stamps” collection makes the perfect gift for the baker or chef in your life or for yourself! Let everyone know who's kitchen the amazing cookies, cakes, breads, and casseroles came from! Our “Baked with Love stamps” collection makes the perfect gift for the baker in your life or for yourself! 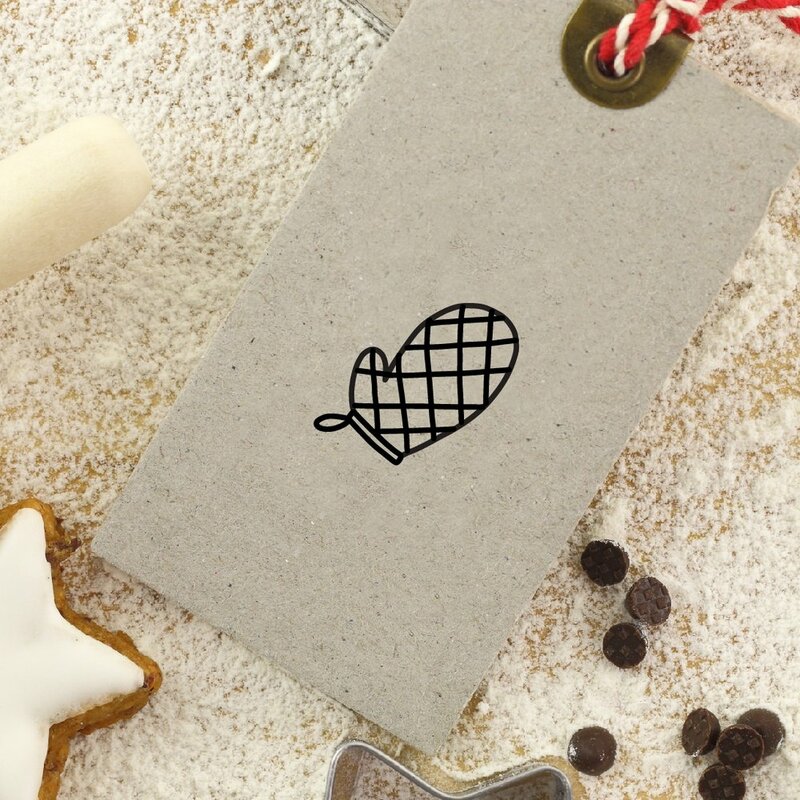 How sweet it is to receive the gift of baked goods on special occasions and with Christmas always around the corner you can use this stamp to let everyone know that their holiday goodies were baked with love.